Repair the leaky or broken head gasket on your Land Rover Discovery Series II or Range Rover 4.0 and 4.6 with our quality head gasket replacement kit. This Land Rover head gasket kit (Part # STC4082BK) has been assembled specifically to fit the V8 Bosch engine found in Land Rover Discovery Series II, 1999 - 2004 and Range Rover 4.0 and 4.6, 1999 - 2002 models. Unlike competitor sets, our kit comes complete with all of the gaskets and seals necessary for you to repair your vehicle’s engine. The kit’s composite head gasket seals are of the highest quality and come specially treated with a composite coating making them the best choice for Land Rover head gasket repair. NOTE: New head bolts are REQUIRED when installing this gasket set. See Land Rover Head Bolt Kit by Clicking Here. Perhaps you are looking for a completely rebuilt Land Rover engine. We have those too. Just click here to see all the expertly remanufactured engines we have for Land Rovers and Range Rovers. 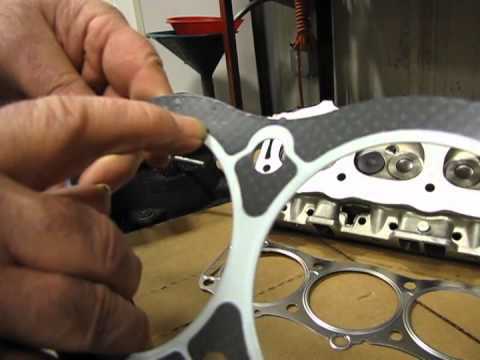 Atlantic British Ltd. Repair & Maintenance Academy How-To Video: Watch Jim as he gives an overview of the Land Rover head gasket components. Jim explains how to know if you have blown a head gasket on your Land Rover, and also provides useful tips on how to repair a leaky head gasket to get your engine back running efficiently. Questions about this video? Call us at 1-800-533-2210 or contact us via live chat. Purchased the full gasket kit for my Discovery 2 it’s a great kit, just wish there was a chart of all the gaskets or more focused instructions on what each are and where to replace them. Aside from that great product, great team. Wow. Came with more than I expected. Great communications & service. very good quality gaskets and shipped on time.the job was fairly easy so now im going to go agead and do my other one for good measure.